Outstanding Frieze London Art Fair 2017 edition (part three). Frieze 2015 fair of contemporary art enthralls London. London has been captivated by the Frieze Art Fair 2013. 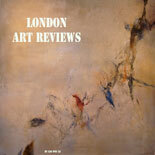 Frieze Fair London and the Emdash Award 2013: Call for Entries.